Pleased to meet you. I’m the founder, CEO, facilitator and strategist at More In Store Marketing Solutions. For nearly 20 years I’ve worked as a marketing professional helping motivated business leaders in the service sector – like healthcare and academic professionals – build their businesses through strategic, practical, sustainable marketing programs. And I’m passionate about helping you see great results and great returns. My clients are high-achieving, type A, smart entrepreneurs who really love what they do. But who don’t always have the time and all the expertise to take on their own Strategic Marketing Planning. And that’s where I love to help: working with you to provide clarity, structure, and swift and sustainable implementation. In the past couple of years, my training has been increasingly focused on using HubSpot to deliver effective and trackable marketing techniques. 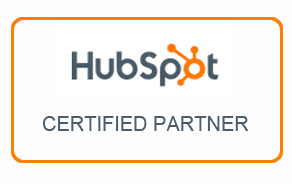 Through HubSpot, I have the following certifications: Inbound Marketing, HubSpot’s Certification, and the HubSpot Partner Certification, all of which are current as of March 2017. My formal education includes an undergraduate degree in Public Relations from Mount Saint Vincent University and a Masters in Business from Saint Mary’s University. Several follow-up courses have given me a powerful grasp of how to make the very most of all the marketing opportunities that live online and in social media. And the learning continues: I snack on marketing and business development books the way some people snack on potato chips. Google Analytics 201 and 301, Los Angeles, 2011. Google Adwords 101 and 201, Los Angeles, 2011. Interactive Advertising Bureau of Canada Mixx Road Show, Halifax, 2009, 2010, 2011. EMarketing Symposium, New York City – May 2007. 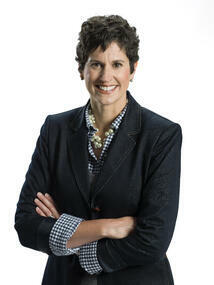 I work with many professional organizations to share my savvy with business leaders and up-and-comers. I love to travel: alone, with my family, to snowy places where we can ski, and hot places where we can sun, to visit my husband’s family in South Africa, to old stomping grounds in France, and beyond. I’m proud to be bilingual and I’m encouraging this skill in my 12 and 15 year old children who started their studies in French at Ecole Bois Joli and then Ecole Carrefour. They've surpassed me in their fluency, and it helps me stay conversant. Today both children attend and King's-Edgehill School in Windsor Nova Scotia. That’s a little bit about me, I’d welcome the opportunity to learn about your business and marketing goals. If you’re ready to do more with your marketing, sending me an email to start the conversation.